Learning off the Beaten Path: "This might sound stupid..."
I was always nervous about raising my hand in class. I second guessed what I was about to say, right until the moment that the teacher called on me to speak. This was no exception when, in fourth grade, Mrs. B, a woman who was notorious for squelching students’ confidence and curiosity, pointed to my raised hand and said with audible annoyance, “What, Sarah.” Her genuine disinterest in my answer was clear as day. Given her affect, I’m surprised I didn’t withdraw with a preemptive, “Never mind…” but for some reason, that day I didn’t. We had been learning about geography, and the subject at hand was a region known as Mesa Verde. Mrs. B was describing the region as a plateau and pointed out how dry and arid it was. I listened to her words, glanced at my textbook, looked at one of the illustrations, thought, thought some more, and recalled what I had learned from a visiting Spanish teacher earlier. Mesa. Verde. Mesa (table). Verde (green.) Sometimes, when ideas percolate and questions bubble up, you feel something physical. I did that day. I think that’s why I kept my hand in the air even as she exuded not just apathy, but unmistakable disinterest. That was her response, verbatim. I felt completely deflated. I don’t think I spoke up for quite some time after that. Sadly, I think that was her goal. Exactly thirty years have passed since I asked that question and received that answer. And I’ve never forgotten what she said, how she said it, or how she made me feel. I am an educator now, and as I have learned about the impact of teachers, the real goals of learning, the signs that our work is working… have I come to appreciate profoundly a thoughtful question from a student who is even attempting to make some connections. I know now that my question then wasn’t stupid at all. I also know that even if I had been mistaken, I was on a path of inquiry, and that alone merits encouragement and support. Nowadays I consider myself lucky whenever one of my students generates a question that shows thought, connection, and relevance to the big picture. I know I need to do better at designing my instruction so that more of these productive questions emerge. I know that should one of my students preface a question with, “This might sound stupid…” I should put an end to such self-deprecation immediately. And I know that such details as the look on my face, the tone of my voice, the intent with which I listen, can make or break a spirit. Many parents believe Mrs. B was in the wrong profession or simply stayed too long. I don’t know her whole story, but if I had the chance now, I’d listen. If only to model what students deserve. 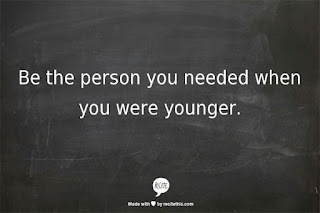 And since I can’t change the past, I’ll just have to be the person I needed in that classroom that day. The smile, the nod, the nudge to think further… the person who knows that the world needs better questions and more people who generate them. And the person who knows that teachers have the power to inspire others because of or in spite of their actions. I choose the former. What about you? When I first started teaching I taught to my strengths and had the kids do activities that made it obvious. As I grew I realized that I made more of an impact teaching to my weaknesses and doing activities that played into them....and my fears. 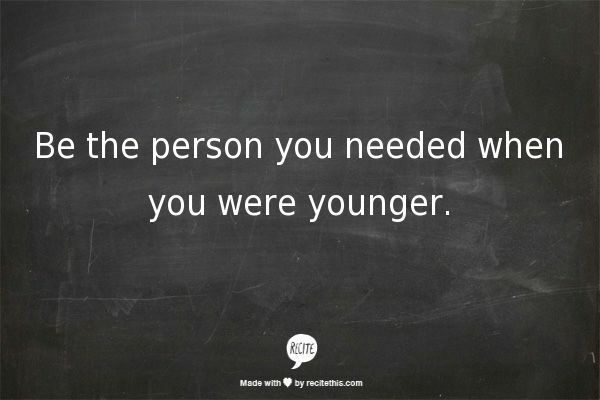 When I did that, I became the teacher that I once needed. read this one shortly after. What perfect words. I also struggle with stage fright and sometimes I think I am crazy for heading into the world of teaching. However, I read this article and feel energized. How terrible of a feeling that must have been all those years ago, yet it seems as though you took it and were transformed by it. Bravo. I am interested in learning more about learning designs and am curious which do you use in your classroom? Does it vary? I am moving through an Educational Studies program at Arizona State University, with the hopes of becoming a special education teacher at the elementary level. In any event, I enjoyed reading this post. I felt like I needed that. Although this is an online forum, I find that all the educators I connect with (or stumble upon) are part of this great, big community that is changing the world by educating our children. Keep up the good work. educator, academic technologist, co-founder of #edcampct. I love dogs, history, music, running, and really funny people. Is This Horse About Dead?